Vancouver (AFP) - Bill Gates opened a mock Ebola field hospital at the prestigious TED Conference as part of a call to be battle-ready for a deadly global epidemic. The Microsoft software mogul and philanthropist called for "germ games not war games" to train response forces and reveal holes in defenses. "The Ebola epidemic was a wake-up call to get ready," Gates said during an on-stage presentation at TED in Vancouver. "There is no need to panic -- we don't need to horde cans and spaghetti in the basement -- but we should get going." 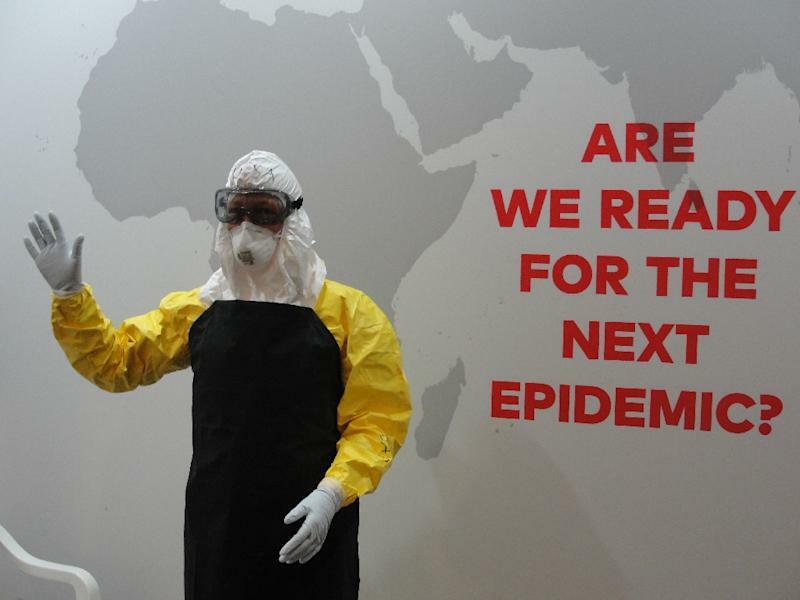 A room off a hallway was transformed into an Ebola station where TED attendees got a taste of meticulous and tedious precautions health care workers must use to prevent infection. 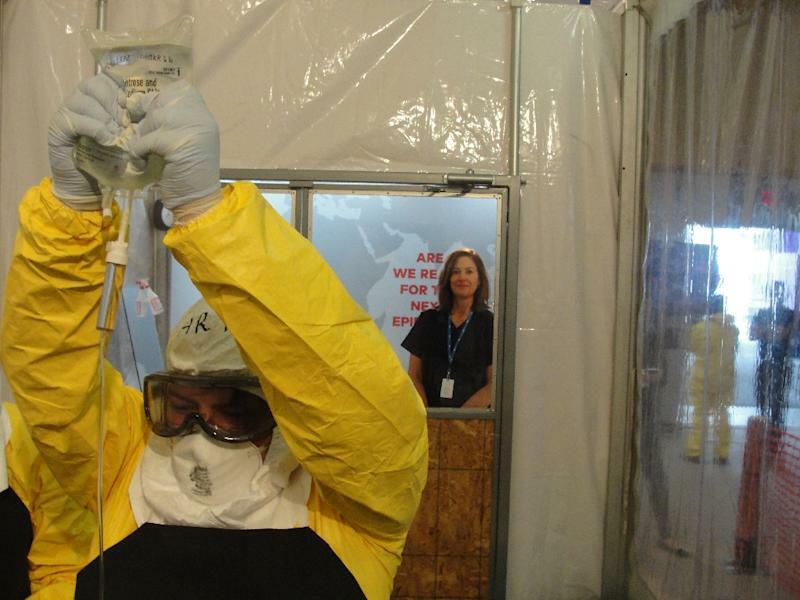 Playing the part of an Ebola-fighting doctor involved wriggling into oversized rubber boots and yellow bodysuits. Rubber gloves were layered over hands, sealing tightly at sleeve cuffs. Heads and faces were covered with hoods, goggles and breathing masks. Under it all went a new cooling vest developed by the Gates Foundation. The vest was lined with ice packs to offset stifling heat inside suits. Luanne Freer, a doctor who worked with Ebola patients in Sierra Leone with nonprofit Partners in Health, recalled sweating so much into her face mask that "it was like waterboarding." Freer and other doctors who have spent time on the battle lines against deadly epidemics led attendees through simple exercises in a tented area where, in a real-life setting, people would have been fighting for their lives. Vision was limited by suffocating headgear. Breathing was difficult through masks. One was under pressure to be vigilant about exposing skin, which could mean death. Then came what was said to be the most perilous part of the process for health care workers, stepping out and removing a suit now certainly coated with the deadly and contagious virus. Aid workers tend to be so emotionally stressed by the agony of patients and overheated from being sealed in suits that they want to strip down quickly, according to Freer. In that haste, careless moves can turn doctors into patients. "I was amazed how complicated it was," Gates said of his time spent in the mock Ebola medical station. "And, we didn't have to worry about the heat and actually getting infected. It just makes my admiration for them all the greater." Gates started his talk by wheeling on stage two large black cans packed with water, food and other supplies for hunkering down and surviving missile strikes. "When I was a kid, we worried about nuclear war and had cans like this in our basement," Gates said. He reasoned that the new global threat is "microbes not missiles" and that a trained and prepared army of epidemic fighters should be ready for rapid deployment in coordination with military forces. "In the movies there is a group of handsome epidemiologists ready to go; they move in and save the day," Gates said. "But, that is Hollywood." 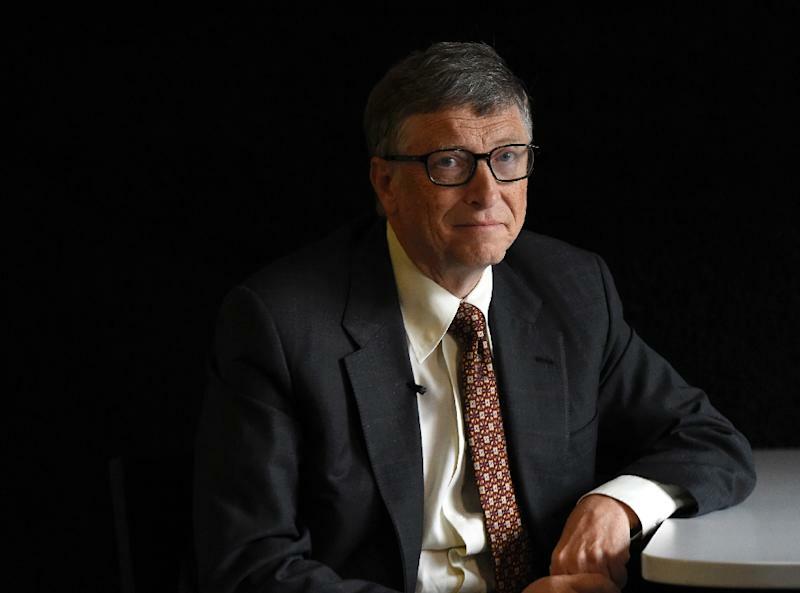 The cost of keeping an elite medical strike force ready to respond to epidemics would likely be a bargain compared with the trillions of dollars a serious epidemic could cost in terms of lives and damage to the global economy, according to Gates. A problem in preparing for contagious diseases is that there is little financial incentive to invest in vaccines since most threaten developing countries where money to pay for medicine is scarce, said epidemiologist Seth Berkley, chief of Gavi, a global vaccine initiative. "It is not a question of if but when. These bugs are going to evolve and they are going to threaten the world," Berkley said at TED. "We need to take on the risk of vaccine development and stockpile creation, having an ultimate deterrent available but praying never to use it."